The Hand-L 2.0, proudly made in Colorado USA, is an innovative professional massage tool designed for trigger point work, for deep tissue massage, or for simple relaxation massage. The Hand-L 2.0 is made of hand-finished stoneware clay in an attractive “earthtone” color, glazed at client contact areas for comfort, unglazed on the gripping surface to provide safe, slip-free control even if you have oil on your hands. The updated glaze finish on the client contact surfaces has slightly more “drag” than the original to provide better control when working with lubricant on the skin. 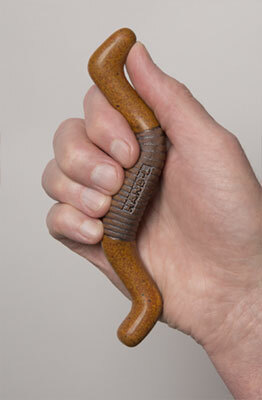 The Hand-L was developed by Bob McAtee internationally known massage therapist, lecturer and author. 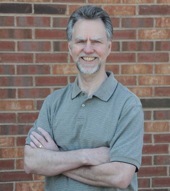 Please visit stretchman.com to learn more about Bob McAtee’s book, Facilitated Stretching, his seminar schedule, and his massage therapy practice. “For years, I searched unsuccessfully for a massage tool that was effective, comfortable to hold and could help take the strain off of my fingers and thumbs. There simply was nothing out there. During my search, the shape for the Hand-L suddenly came to me in a dream. 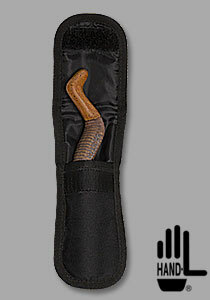 Comes with a padded belt holster carrying case. Constructed from 1,000 denier cordura packcloth, padded and lined. Sturdy belt loop and a flap with a velcro closure. Sold with a one-year replacement warranty against breakage. © 2013 - 2017 McRub, Inc.